The Stories Behind Every Song 1970-1980 is now in it’s 4th edition. I’m not sure why it takes four tries and 20 years to get a book about John Lennon’s songs right, but obviously it wasn’t to fix the few minor typos throughout. Yet, despite my head scratching moment of confusion over the reprinting, I did find this book really well written and informative. Du Noyer tells John’s life story while telling what motivated John to write each of his solo albums and songs. Like many other Beatles experts, he believes that when it came to John’s music, he wore his heart on his sleeve. John only knew how to write about his own life experiences…no made up story lines. So I’m happy to report that Du Noyer does include John’s lost weekend years in this book along with his time with May Pang. But I’m also sad to report that the author believes that the lost weekend was also a very dark, drunken time in John’s life where he pined endlessly for 18 months for Yoko to take him back. GIVEAWAY: I have three copies of this book to give to three of my readers. Just leave a comment below and you’re entered. It’s that simple. Rules: Only one entry per person. I will pick the winners next Sunday morning (September 3, 2017) and announce them in my blog. I like Beatles Books and Paul Du Noyer is a great author! Does it include many quotes from John himself on the writing of the songs? That’s really the only source that I think we can trust. Yeah…but a lot of them seem to be after the fact…years later when he didn’t care for them anymore. Would love to get a copy of this book-it sounds real interesting-thanks for the opportunity! It’s too bad that so many gloss over the “lost weekend” time period in the manner you mentioned. I MUCH more prone to believe May Pang’s version on the time period! This sounds like an interesting book. I also agree that the “Lost weekend” was not really that “lost”. Hey Joe! You won my last contest but never sent me your address. LOL Email me your info so I can send you the NAMM swag. 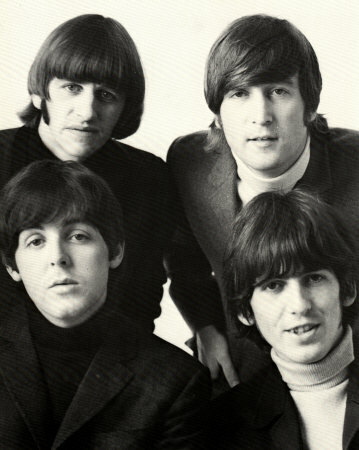 I actually started liking the Beatles in 1973-1974, during “the lost weekend” period, and heard a replay of one of John’s silly radio interviews/weather reports on a local station in Cincinnati during that time. His wit and charm were completely present, and helped solidify my love of the group! With the reissue of the Sgt. Peppers album this year, my interest in the Beatles has really increased. I’m finding myself listening to the Beatles quite often. Awesome stuff!